Crystal-clear water washing over the pebble beaches, whitewashed houses standing out in the distance, contrasting against the perfectly blue skies… Greek islands don’t need much of an introduction, their beauty is already attracting thousands of visitors each year. And yet, some parts of this picture-perfect paradise don’t get quite enough recognition, while others are so busy with tourists, that it’s hard to find a spot for yourself. This list of ten amazing experiences on various Greek islands will help you to walk an unbeaten path. Home to some of the most stunning beaches in the Mediterranean, it’s a wonder that Zakynthos managed to maintain such a low profile compared to other Greek islands. Its most famous beach, Navagio (which means ‘shipwreck’), with its white sand and surrounded by large white cliffs, seems to belong to an exotic island somewhere in the Pacific rather than Europe. The beach has its name from the shipwreck, which washed on its shores in 1981 and remains there until today, adding a touch of mystery to the beautiful surroundings. Despite its lush green hills and hidden beaches dotting the shoreline, Kefalonia is nowhere close as popular as Mykonos or Santorini. And although more and more travellers discover this hidden gem, the island has maintained its authentic culture, especially in the North. To truly experience the spirit of Kefalonia, visit Myrtos Beach. The first thing you will notice are the steep limestone cliffs hanging dramatically above the white pebbled strip, stretching for over a mile. Add the perfectly clear blue waters to the mix and you’ll find yourself a perfect piece of Greek paradise! 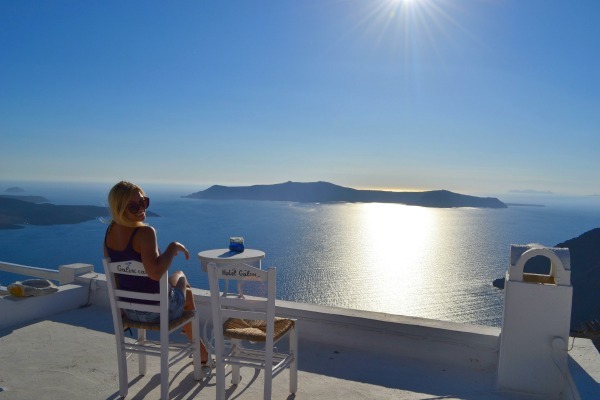 I will let you in on a little secret – all those things you’ve heard about watching the famous Santorini sunset from the ruins of Oia Castle are completely overrated. Yes, the view is beautiful, but you’ll need to fight off groups of tourists armed with cameras and selfie sticks to see it in the first place. For a truly unforgettable experience, head to the nearby Firostefani and find Cafe Galini where you will be greeted by one of the most stunning views in Santorini. Sit down comfortably and sip your cocktail as you’re watching the sun go down over the volcano and the caldera. Ever wondered what it would be like to walk on the moon? Now’s your chance to find out! 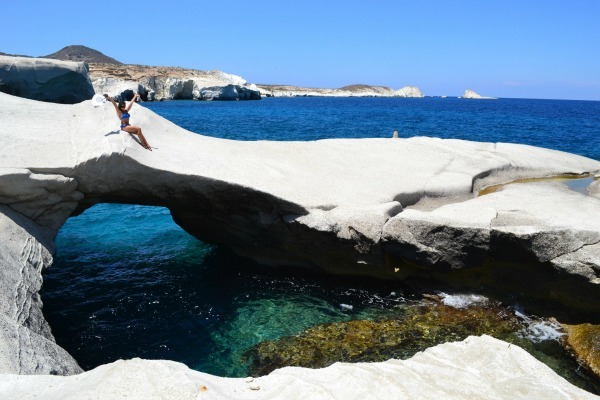 Sarakiniko beach in Milos, a small Cycladic island, is famous for its surreal, moon-like landscape. The white swirls of volcanic rock, with huge hollows peeking into the sea, are quite possibly the most unusual sight in the Greek islands. Feeling adventurous? 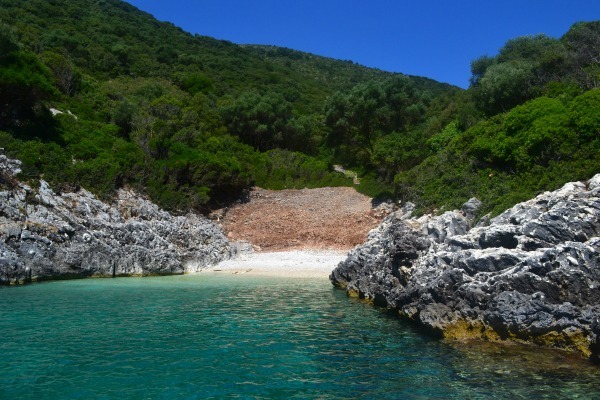 How about renting a motor boat and visiting the secluded beaches in Northern Kefalonia? Scattered between Agia Effimia and Fiscardo, the tiny beaches are quiet and unspoilt – the only disturbance will be an occasional boat or a ship passing by. Paradise! Kastro in Sifnos, in the Western part of the Cyclades, is a true example of an undiscovered beauty. 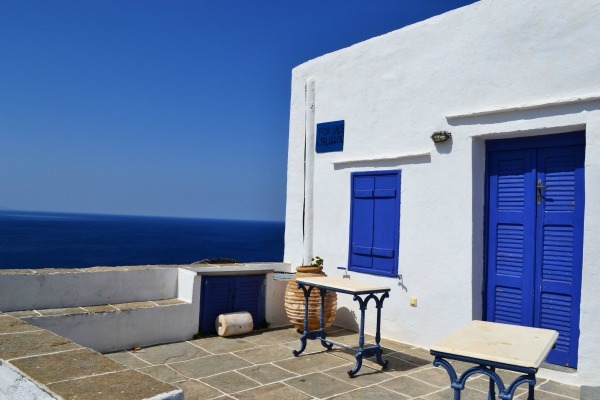 Visited only by an occasional group of tourists, this ancient town dotted with low stone benches and typical Cycladic architecture, is surrounded by stunning sea views. Walk down the stone-paved path just outside of Kastro and be prepared to have your breath taken away. Here you’ll be greeted by the tiny, blue-roofed church of Seven Martyrs, seemingly floating over the sea. 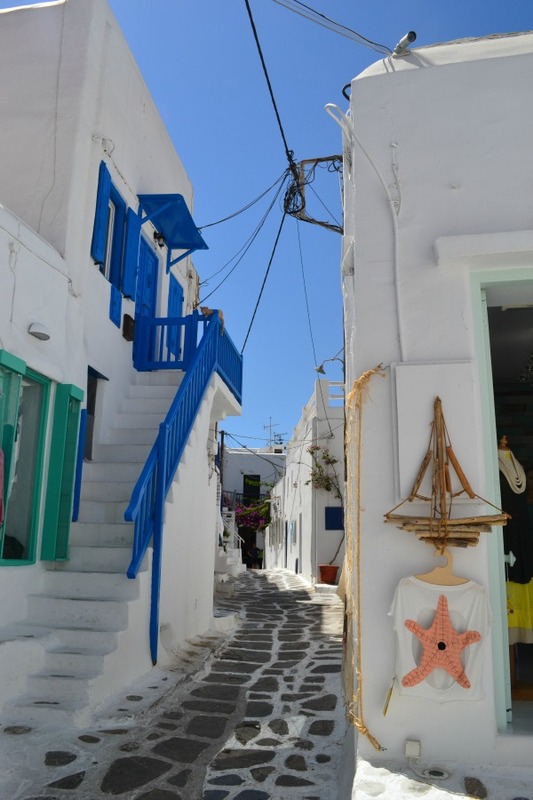 The Greek are known for their friendly and open nature, so it comes to no surprise that the fashion on the Greek Islands, particularly in Mykonos, captures this beautiful spirit. The colourful jewellery and vibrant fabrics, displayed perfectly against the minimalist white decor, will get you shopping for hours! While the majority of the products are locally made, a lot of the pieces are imported from Bali, which adds to the earthy, ‘beachy’ vibe emanating from the stores. Apollonia, the capital of the quiet island of Sifnos, is not exactly the first place that comes to mind when a night out is in the cards. And yet, surprisingly, it should be. Steno, a popular bar and shopping area in Apollonia, has a Mykonos feel to it but combined with a much more relaxed, local vibe. Lined with narrow, paved streets and whitewashed houses, the area has a great choice of bars and restaurants. Perfect for nature lovers and those seeking ‘an escape from it all’, Ithaca is a quiet, almost untouched oasis. As your boat approaches the island, you’ll be greeted by the gentle curves of luscious green hills, at the bottom of which sit tiny, fishing villages where time seems to have stood still. The waters in Ithaca are crystal clear and even in port towns you can spot tiny shoals of fish swimming around the shores. Kos is known for being one of the most touristy islands, but even here you can escape the crowds. Travel to Kefalos, South West of Kos town, quickly skip the tacky souvenir stores near the main road and head straight to the nearby beaches. Be sure not to miss Kamari beach. It’s one of the most beautiful ones in the area and whilst still an organised beach, it’s quiet and doesn’t get overly crowded. So, what are you waiting for? Spring is just around the corner – book your flights, grab your sun lotion and prepare for an adventure! 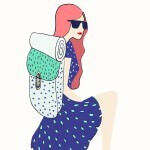 * This is a guest post by Marta R., who blogs about all things travel over at A Girl Who Travels. Love it :) So much to add to the travel bucket list! Just to mention, Rhodes is really pretty too, especially its old town part with loads of small jewellery boutiques! Definitely adding these to my list of things to do! Yes! Great list. I live in Greece now and can honestly say the beauty of the Greek Islands rivals many others. Don't forget the smaller ones too like Aegina and then the Dodecanese chain of islands with small, cute ones such as Symi and Tilos. Thanks for sharing places that are less-crowded but just as beautiful as the typical vacation sites. I always like having additional places to visit that aren't on the popular tour guides. OMG I really really wanna go there!! Pingback : Tuesday Ten | splendor and forge.